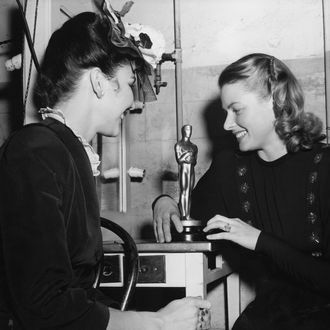 This Sunday is the 90th Academy Awards in Hollywood. Here in New York, no matter what film you’re rooting for, there’s a place to catch all the gowns, gaffes, and glittering spectacle. Below, ten spots where you’ll find viewing parties, drinks specials, and — of course — trivia prizes. Presented by the Skint, enjoy the awards where one of the nominated movies, The Big Sick, was actually filmed. RSVP for a complimentary glass of wine, photo booth, voting ballots, drink specials, and enough popcorn to stuff your face while you watch the action. If you’re still hungry you can always order from taqueria El Atoradero in their sister restaurant Parklife. It’s first-come, first-served at this craft beer and wine-lovers affair, where the small-plates menu includes items like duck liver pâté and lamb sliders. This one pairs especially well with the vino and formaggio in Call Me by Your Name. Join fellow movie lovers at this screening, which in the past has had themed cocktails, but either way will have an 11-foot screen. Show up early to grab a good seat, and while you’re waiting don’t forget to try the flavored popcorn. The bar at the downtown French market is the place to get in on the glitz and glamour with a glass of Dom Perignon ($45) or a Moët bottle ($55). Plus if you guess all the winners you can win up to $150 toward your next meal. Choose your level of lavishness at this affair, where $10 gets you admission to the bar, $15 to watch on the theater’s big screen, and $150 a VIP table, which comes with a bottle of Champagne. Oscar Watch Party at Q.E.D. Come ready for for random drawings, trivia, and ballot competitions at this Queens venue, where a ticket gets you all-you-can-eat popcorn and catered snacks. First, see if you can name the four other females who were nominated for Best Director before Greta Gerwig, then head to downtown’s latest hangout for brainiacs for preshow movie trivia, before watching the festivities on the big screen. Fit right in with your I, Tonya sequins when drag queens Lavinia Draper and Chocolatina host this annual shindig with guest performances, trivia, and an extended happy hour. This fun interactive viewing party encourages you to come costumed for awards in categories like Least Dressed, Best Celebrity Impersonation, and Most Tragic. If you choose wisely, your outfit could win multiple awards. Be as fancy as the nominees as you sip themed cocktails and truffled popcorn in the lounge of this midtown seafood restaurant. You probably wouldn’t look out of place if you showed up in a gown.